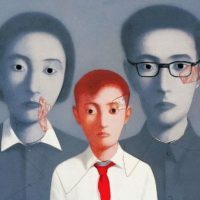 Bridge Project 4 is a research project that requires us to compare Zhang Xiaogang and Ai Weiwei’s artworks, concepts, styles and their life experiences, and create a wearable work that can be changed in their form. While it should inspirit from these two artists, also, this work needs to incorporate some elements from these artists’ respective artworks. I think this project is challenging for me and it makes me very excited. Ai Weiwei has always been one of the artists I like, and I have also produced some installation art with his inspiration. 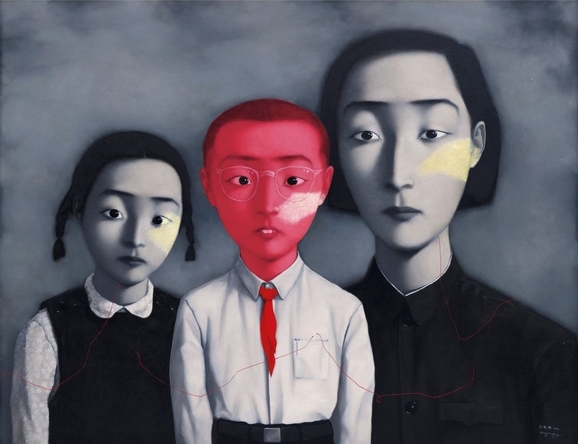 Although I am not familiar with Zhang Xiaogang, his style of work also inspired my interest. 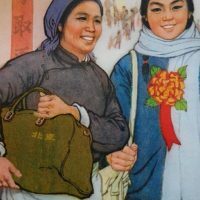 For this project, the first step I collected many reports about each of them from Internet, I would like to know more about the experiences of both of them and try to find some common ground in their experiences. Then I researched many their own works and analyzed their style. 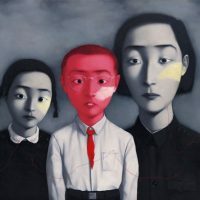 Ai Weiwei’s political irony, and provocative style has always been my favorite, and Zhang Xiaogang’s paintings also a strong political irony elements. The second step, according to their own life experiences and their artistic style, I wrote a compare & contrast essay about them, and in the article, I pointed out their common ground, and also analyzed how their respective experiences influenced their artistic style. The third step, I try to extract the same elements from their work and determine my concept. The history of them both have experience of political shocks, so they have expressions of political oppression in their works. 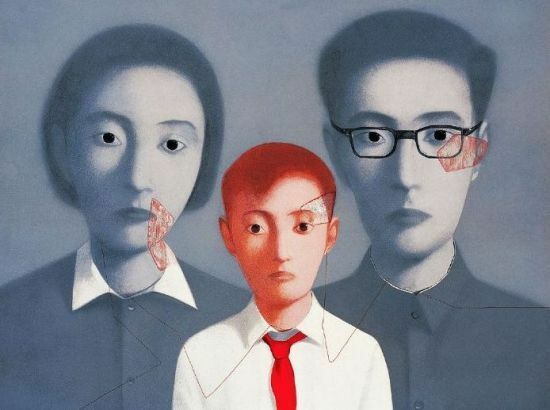 In order to pay tribute to them, my concept will be like Ai Weiwei style, expressed the irony of the old Chinese society political, and I also find a political representation symbol from Zhang Xiaogang’s painting – – the red scarf. 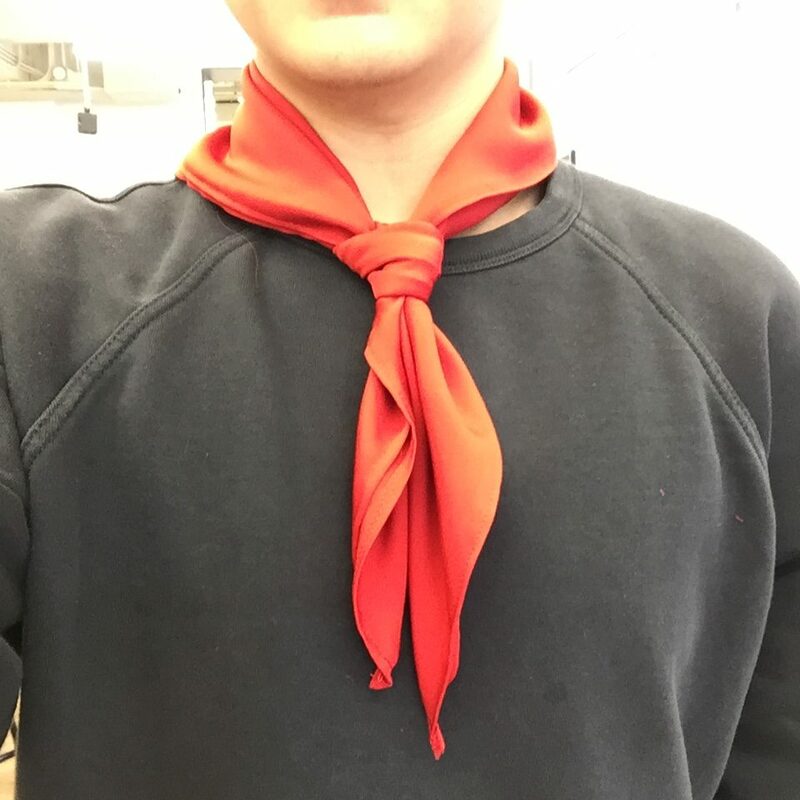 My final decision of the theme is to represent the symbols of politics correct. The fourth step, make and finish my project. 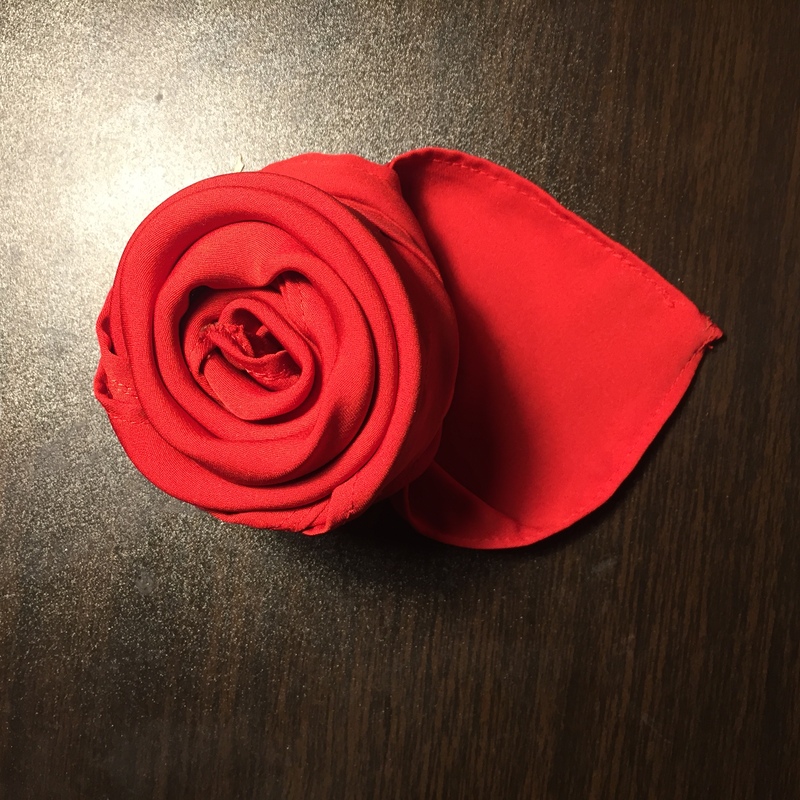 My work is a red scarf, but it can trans to a red flower by buttons. Both forms can wear on the body. These two symbols have their representative role. 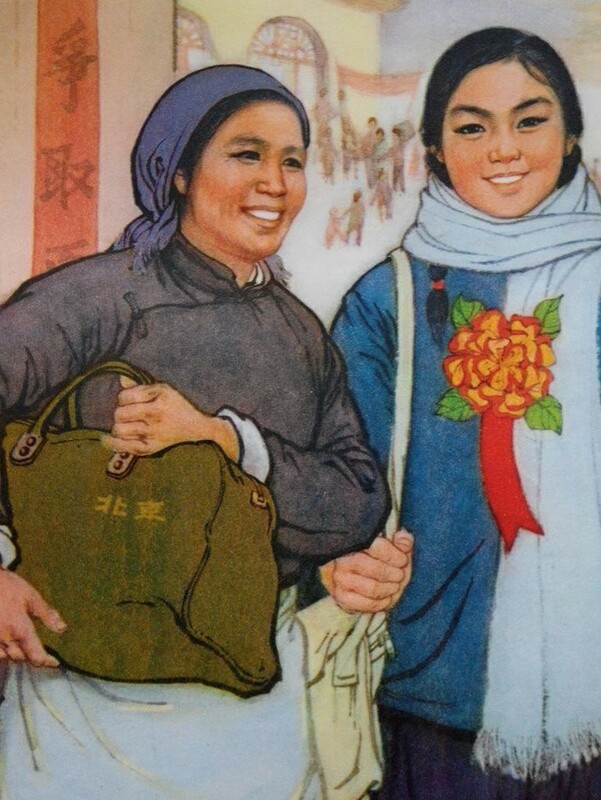 Politically correct for China’s old society and even now is a very important thing, people must support the government, and the political system established by the government, all suspicion of behaviors, things which against the government and political are not allowed. In order to fix the politically correct concept in people’s mind, the government will transfer this concept to them when they were a child, and the red scarf is the symbol of the politically correct child. It is defined as a glory; all the children want to have it. The red flower also related with politically correct. At the government’s commendation ceremony, those who are commended will wear red flowers to support their contribution of following the government’s leading. It also represents the glory, the people who wear it are politically correct. I would like to use these two forms to express the irony of the government’s absolute rule over the people’s minds. I am very enjoying the process of doing this project, in this process, I not only in-depth thinking the relationship between many factors (like experiences and styles, concepts and manifestation, and the effects of symbols on concepts), but also know the importance of doing research before creating artwork. These gains have a very positive impression for my future creation.